HUB Cycling is a charitable non-profit organization, established in 1998 (originally named the Vancouver Area Cycling Coalition) to improve cycling conditions in Metro Vancouver. Since then, we've grown a lot! We've impacted infrastructure, educated thousands of children and adults and motivated thousands more. See the HUB Cycling brochure for more information here. A member-based organization, we strive to remove barriers to cycling and improve the quality of our communities, our health, the environment, and local economies. Vision - In Metro Vancouver in 2030, cycling is an attractive transportation option because it is fun, safe, convenient and comfortable for people of all ages and cycling abilities. Investment in cycling is aligned with ambitious government mode share goals, cycling education is universally accessible and cycling facilities are connected throughout the region. Our Mission - To get more people cycling, more often. HUB members are invited and encouraged to attend our Annual General Meeting, where we report on our past year of action and programs geared towards making cycling better in Metro Vancouver and elect new Directors of the Board. The AGM is also a great way to meet like-minded, bike-minded people. You can also join the pre-AGM President's ride, and the post-AGM social (details here). HUB Cycling's 2018 Annual General Meeting will take place on Saturday, September 8, 2018, at Surrey City Centre Library (Meeting Room 120). RSVP here. You may also want to attend a local HUB committee meeting in your area to find out more about the work we do. Derik was born and raised in the lower mainland and has lived and worked extensively throughout British Columbia. A background in both Finance and IT has led him to work in various technology and finance based start-ups and companies. His volunteer experience includes working with Whistler Sport Legacies encouraging the public to explore winter sports and the Vancouver Foundation promoting their Neighborhood Small Grants Program. 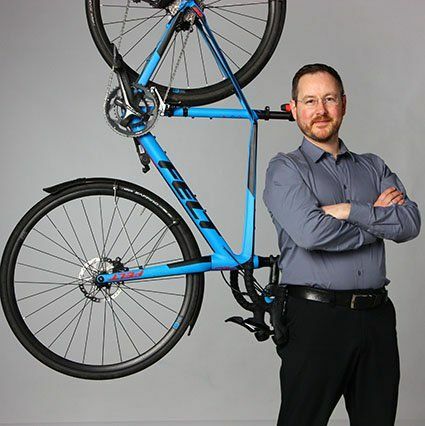 He currently owns and operates a specialized accounting firm based in Surrey and bikes from his home in Vancouver to work on a regular basis. 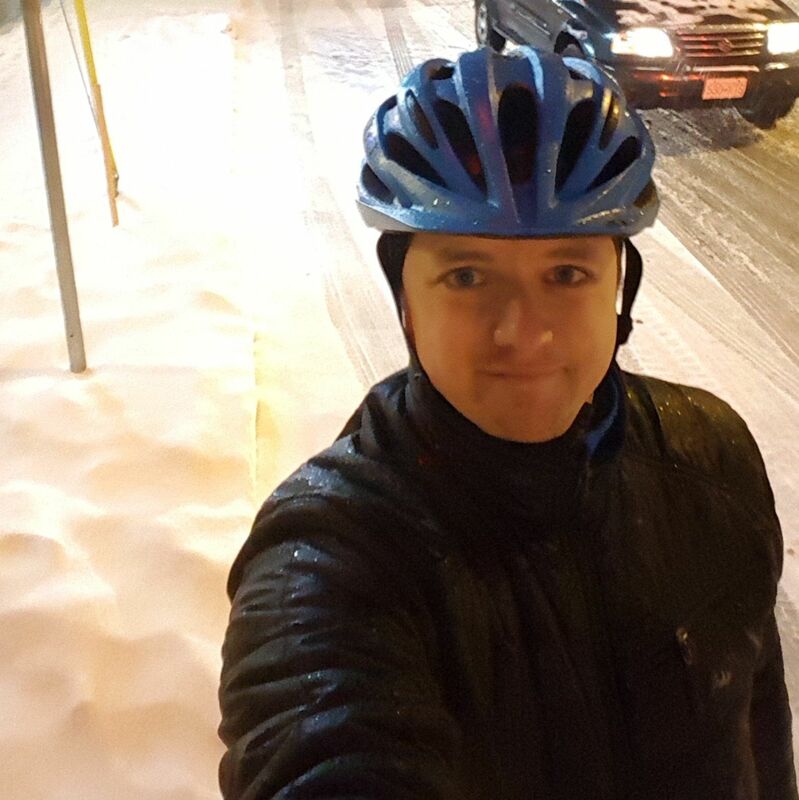 This commute, covering 4 separate municipalities, combined with a desire to explore has given him an appreciation for the diversity and breadth of bicycling opportunities within Metro Vancouver. He believes that bicycling is an incredibly healthy practice, not just for individuals, but for our environment and our communities. He sees HUB as playing a significant role in working with residents, business and government to create safe and efficient cycling opportunities for all Metro Vancouver residents. Now retired, Jeff is a former Vice President at Finning International, which brought Jeff to live and work across Canada, South America, and Europe. Jeff also led engineering teams at Westport Innovations. Jeff lives downtown and cycles locally, while also enjoying cycling trips abroad. 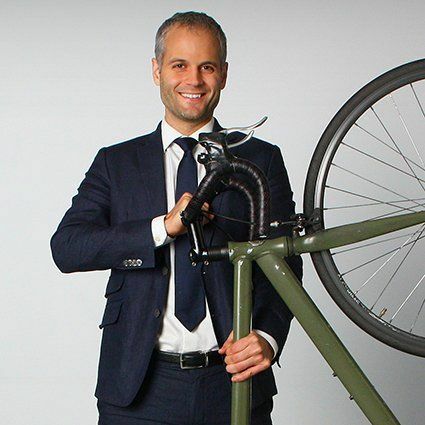 He believes that cycling for transportation can best be increased by ensuring people have access to safe infrastructure, and that people feel safe when cycling. Action work to promote these goals is our most valuable contribution. This includes advocating for improvements at all levels of government, and celebrating our successes. Jeff is chair of the Vancouver/UBC Committee at HUB, where he leads advocacy efforts including Assessment Rides and Reports. Jeff also sits on the Operations Committee and Regional Advisory Committee, where he has worked hands-on to make operational improvements relating to Board Policies and Procedures, and worked on regional advocacy issues. Matt was born and raised in Vancouver and has recently returned from five years living in Toronto. 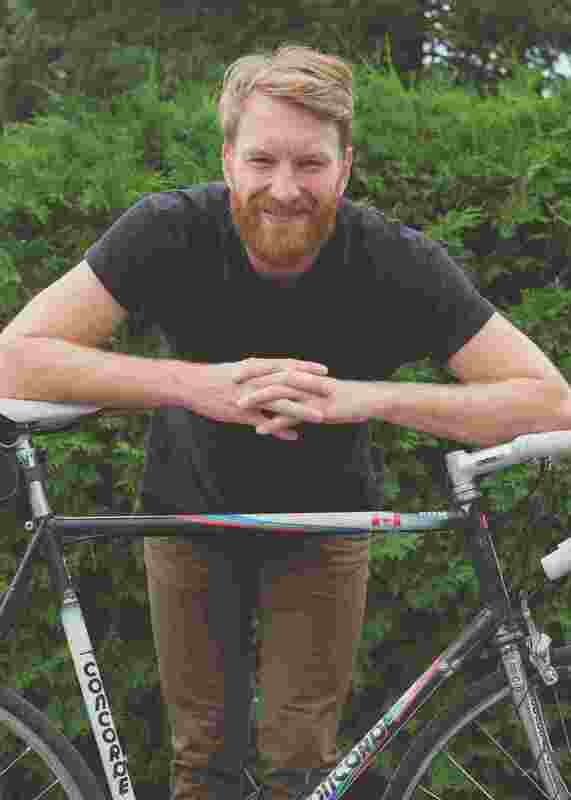 His passion for cycling took off after a Canada-wide bike trip. Since then he’s been an avid cyclist and was one of the few all-season cyclists in Toronto. 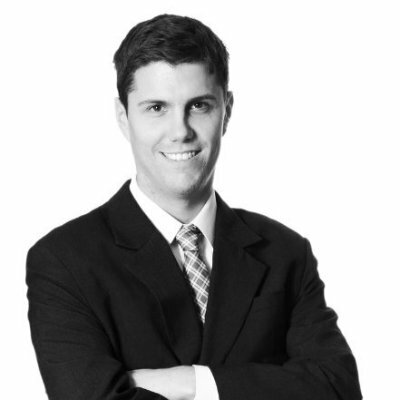 Matt is a Chartered Professional Accountant- CA with over 10 years of accounting and finance experience. He has extensive experience preparing financial statements, reviewing internal controls and preparing annual and multi-year budgets. His board experience includes acting as the Chair of the Finance Committee for the West End Food Co-operative- a co-op promoting access to healthy and sustainable food. He believes that cycling is incredibly fun and that with the right exposure everyone would prefer a bike over other modes of transportation. He sees HUB as a fantastic way to expose and educate residents as to how amazing commuting can be on a bike. 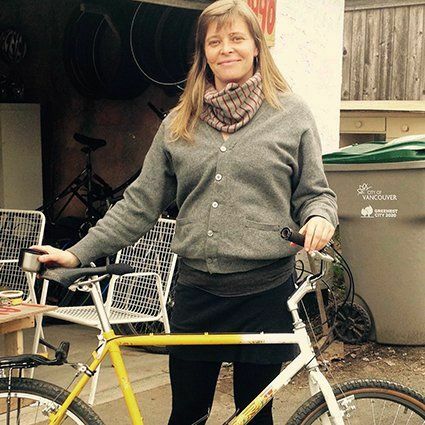 Corrie Bownick is a passionate cyclist and environmentalist. She believes healthy bodies and healthy environments go hand in hand, and cycling helps to achieve both. Her work with HUB is inspired by helping people of all ages and abilities incorporate cycling into their lifestyle, even in small amounts. Corrie is a Store Director in a luxury retail setting and hopes to bring her operational expertise to the HUB board. She lives in Vancouver’s Downtown West End and enjoys Vancouver’s extensive bike lane network on a regular basis. Alex Clarkson is an environmental prosecutor. He has an engineering degree & a law degree and has conducted hearings in both English & French. He is also a published legal author on the topic of environmental law. He has appeared before administrative tribunals, the Tax Court of Canada, the B.C. Provincial Court and the B.C. Supreme Court. Alex has a strong belief that cycling creates cleaner, closer, and safer communities. He would like to see Vancouver as a model of sustainable and intelligent city planning. 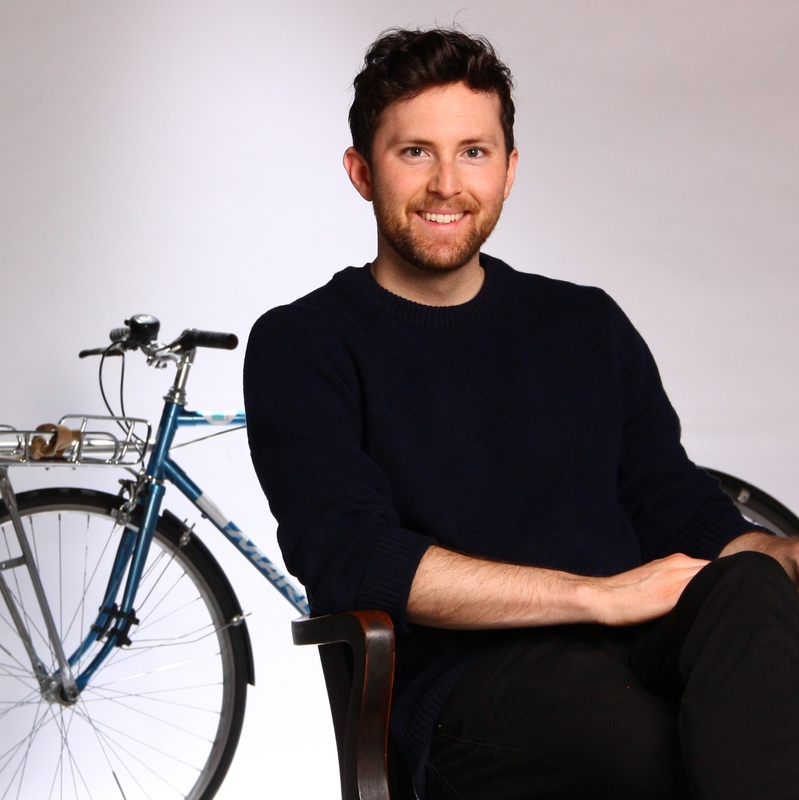 He sees cycling as an integral part of the solution to international environmental concerns as well as local concerns about the quality of life in our communities. Kevin rode bikes as a child growing up in Maple Ridge and kept riding as he commuted up Burnaby Mountain to SFU. It was how he met his wife and has been his preferred commuting mode since. Kevin believes cycling is the psychologically healthiest way of getting to work and that many more people want to cycle, walk and take public transit to work than currently do, and does what he can to overcome the barriers preventing this. 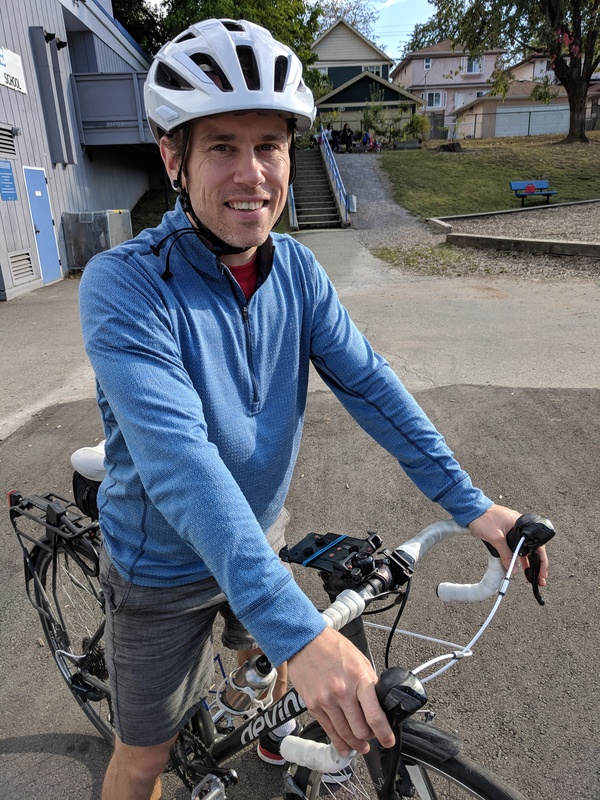 Kevin is a mathematician specializing in Human Resource analytics and an accountant who works as a director at Vancouver Coastal Health where he also advocates and works to improve cycling infrastructure for VCH's 19,668 employees. He built Vancouver's first end of trip facility - the VGH Cycling Centre, as well as numerous bike cages and bike rooms. He also serves on the board of the Cambie Corridor Consortium - the first transportation management association in Canada. He is also a former theatre actor and maintains strong connection to the arts community. 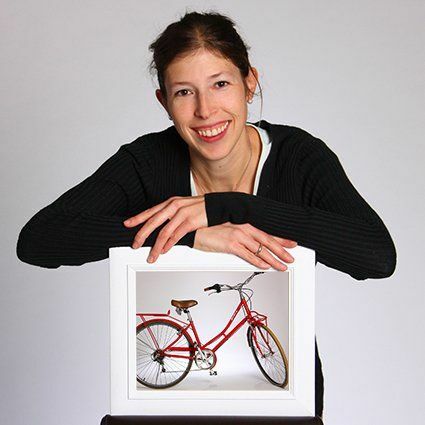 Annie is a long-time cyclist and Planner working in Vancouver and the North Shore. She currently works in community health and wellness planning, and organizational planning with the First Nations Health Authority. 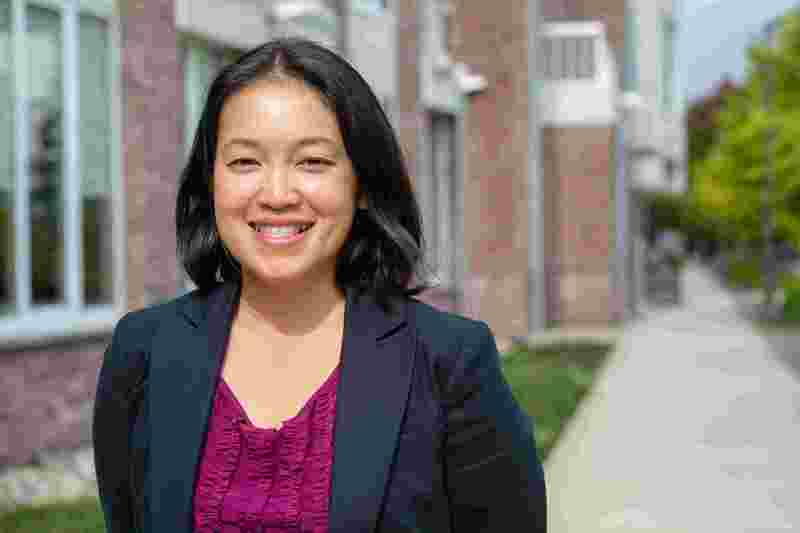 She has previously worked in public space planning, community engagement, and policy. 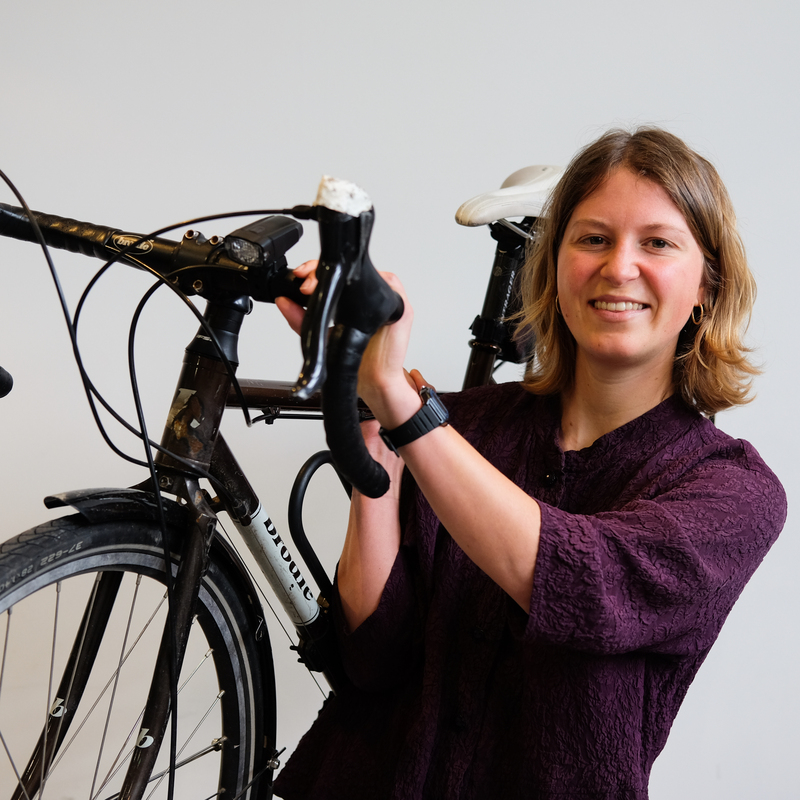 She is passionate about the role cycling can play in contributing to the creation of inclusive, connected, and sustainable communities. 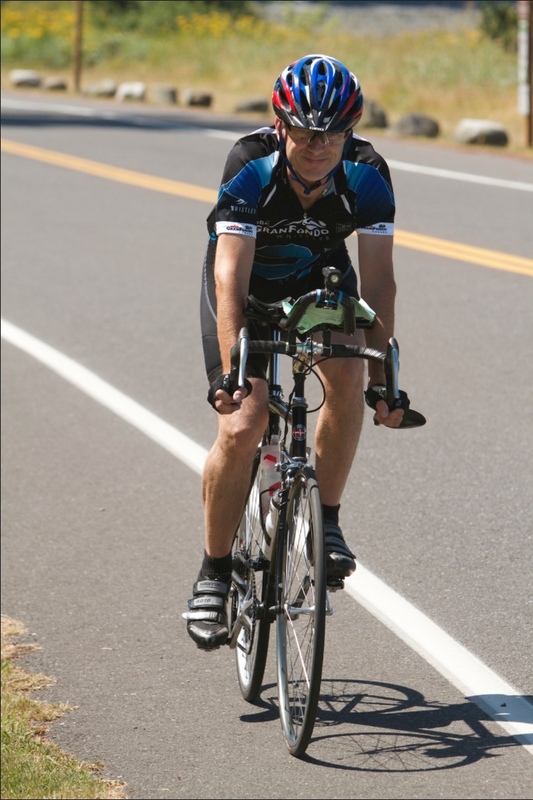 Jeff became a passionate cyclist in 2009 when he went carless and his bike became his primary mode of transportation. He discovered that aside from being more economical, it was far less stressful and typically faster to get around the city by bike – and it reduced his personal ecological footprint. Jeff firmly believes that cycling contributes to making our cities healthier and more liveable. Jeff is a facilitator, trainer and public engagement specialist for the non-profit and public sectors. He currently works in community development for Metro Vancouver Regional Parks. A former Commissioner with the Vancouver City Planning Commission, he is dedicated to creating sustainable cities. In his spare time he enjoys cycle touring with his partner. 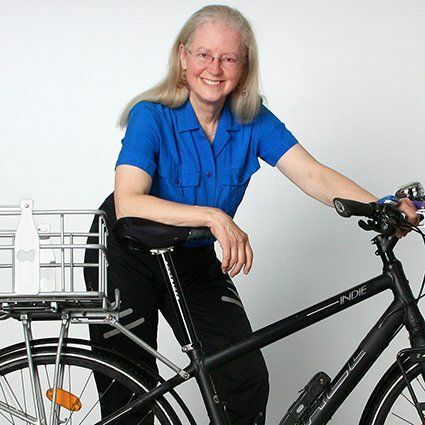 In 2009, after 40 years of only driving a car, Fiona bought an electric-assist bike and began commuting from North Vancouver to her school in Burnaby. In 2013, she graduated to a much lighter, non-electric bike. In 2015, she donated her car to the Kidney Foundation. She is now a retired teacher, volunteering with North Shore Emergency Management, North Van City and West End Coal Harbour Community Policing Centres and the Edible Garden Project. She also chairs her community residents association. Fiona joined HUB in 2010 and became a member of the board in the summer of 2012. After breaking her wrist in 2010, while cycling over the Iron Workers Memorial Bridge, she joined the North Shore HUB Committee to work for improvements to the bridge accesses and sidewalks, which we now enjoy. 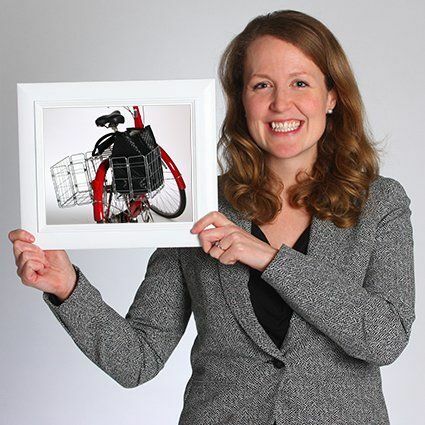 As a director of the BC Cycling Coalition and Canada Bikes, she hopes to act as a liaison and to tackle issues around outdated and/or non- existent TAC standards for cyclists, pedestrians and people on mobility devices. Tai Silvey is a founding member of Evo Car Share and currently leads the Evo business for BCAA. Tai is an accomplished brand builder and business leader and has played key roles in the launch and explosive growth of businesses from Evo Car Share to Dyson Vacuums to Red Bull. Tai is a transportation futurist and has a passion for helping design solutions for cities that promote vibrant and livable communities. As an urban dweller and cyclist, Tai believes that cycling needs to play a central role in mobility to create livable cities of the future. He also believes that getting more people to cycle more often can build community and increase the health of people and the environment. 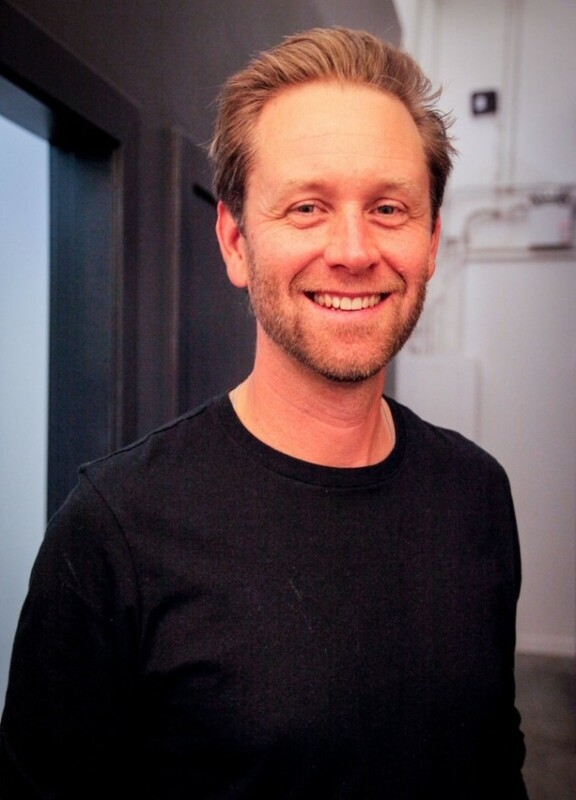 Neil is an active cyclist, parent, and citizen who believes strongly in the community value of riding bikes. His work as environmental coordinator at the City of Port Coquitlam has involved expansion of bike routes and the initiation of dockless bike sharing, and has taught him the value of working with stakeholders, and meeting in the middle to find solutions that function for everybody. 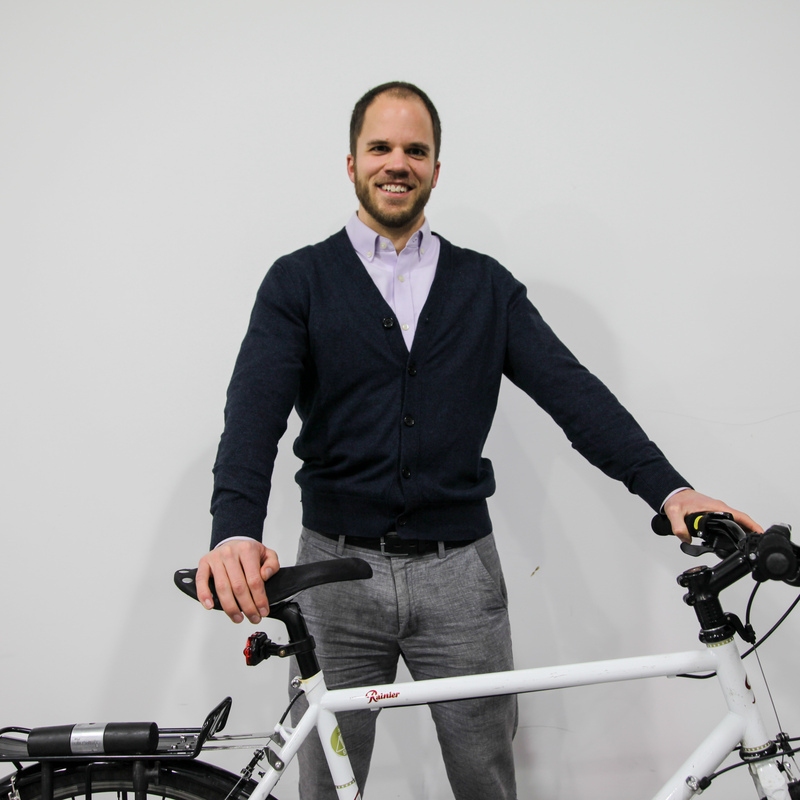 His goal as a member of HUB’s Board of Directors is to help create a safe, interconnected cycling ecosystem that makes the freedom of cycling accessible to all people throughout our region. Shareen rides Gran Fondos, Century and mass rides because she loves the community energy that comes from the cycling community! She is thankful for the great work that cycling advocates have previously done to ensure she can ride safely and she hopes to continue their good work. She also commutes daily and ride regardless of the weather conditions. Currently, she is a second year Masters of Community and Regional Planning student from UBC’s School of Community and Regional Planning with an undergraduate degree in Environmental Geography and Certificates in Applied Human Nutrition from Simon Fraser University. Her previous work experience includes working at UBC’s Go Global International Student Exchange Office, Katimavik Regional Offices, Diabetes Canada and various Metro Vancouver based neighbourhood houses. She is passionate about a safe and healthy community for all and ensuring all demographics and abilities are able to feel safe and confident in the riding community. Matt is a sustainability communication specialist with a passion to nudging people to make healthier decisions for both themselves and the planet. 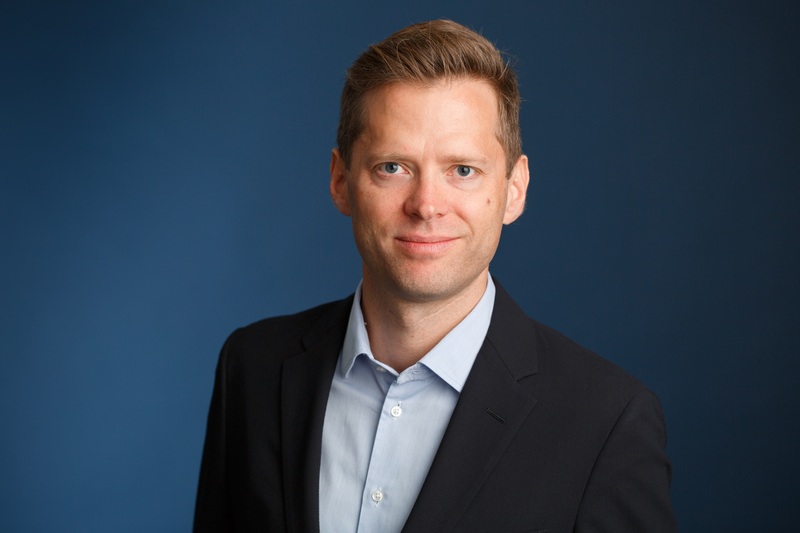 As a board member, Matt hopes that his skills in strategy and marketing can assist HUB in its continued growth in both Metro Vancouver and beyond. On a personal note, Matt enjoys all types of riding. He can be often found exploring the mountain bike trails throughout the province, riding his road bike in countries like Cuba, Colombia and Spain or late night cyclocross adventures in Stanley Park. Erin has been with HUB Cycling since 2009. Her background is in community engagement and urban planning, with a Master of Urban Studies degree from Simon Fraser University.In the past she has worked for local government and crown corporations in their sustainability and outreach initiatives. Erin was a Director of the Board with the Vancouver Public Space Network from 2007-2012, working to create vibrant urban spaces inviting to everyone. In 2011, she was elected to the Board of the Alliance for Biking and Walking, the North American umbrella association for active transportation advocacy. 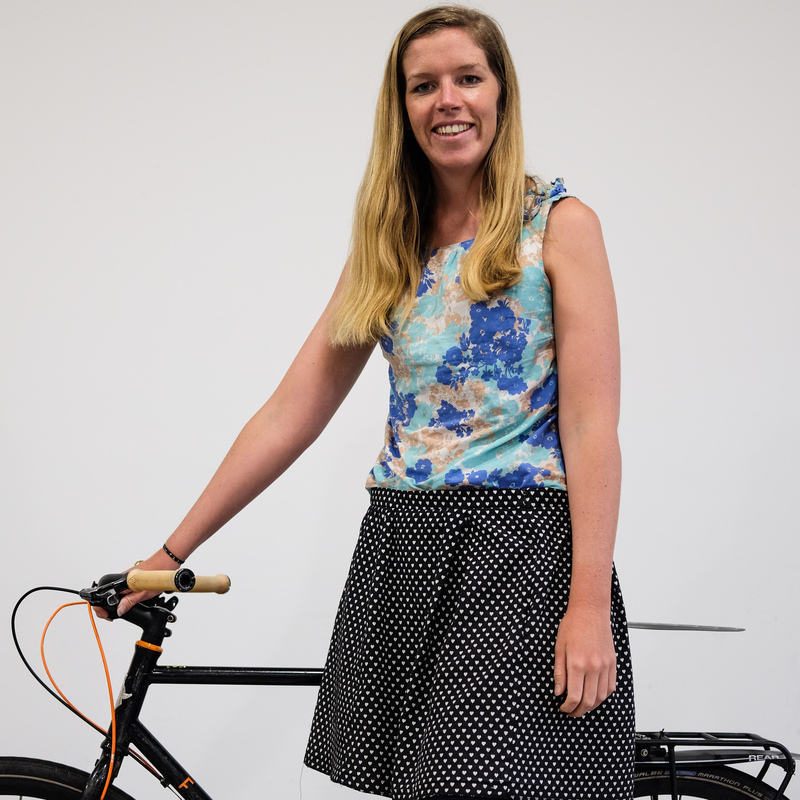 (Currently on maternity leave) Laura is a strong believer in the importance of building happy, healthy, and inclusive urban communities and feels that the bicycle is a key to achieving these societal outcomes. Laura enjoys the convenience of biking, its low environmental impact, and the energy she gets from riding. 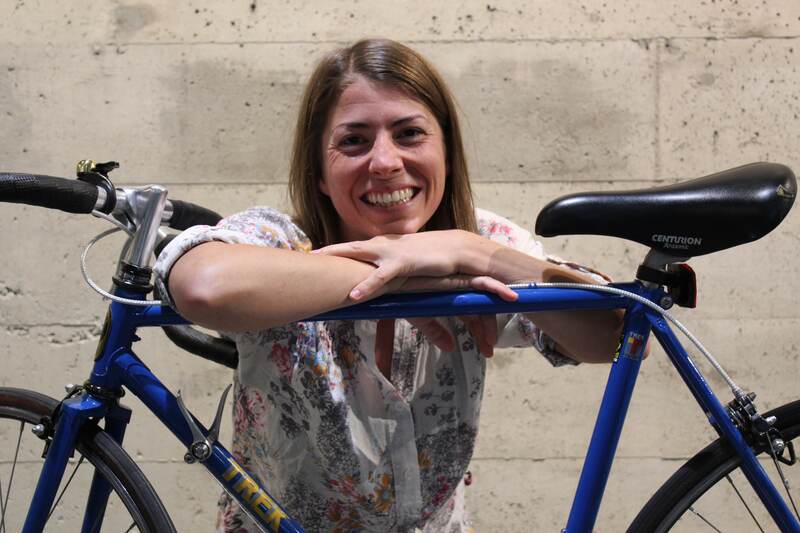 Her goal is to promote cycling as a primary mode of transportation throughout Metro Vancouver. Previously, Laura has worked for The Big Brothers of Greater Vancouver Foundation, The Nature Conservancy of Canada, and The Moss Street Community Market. When she’s not cycling around Vancouver's Mount Pleasant neighbourhood, Laura can be found hiking and camping or picnicking in Dude Chilling Park. Laura has a Bachelor of Arts Degree (Joint-Honours) from McGill University and is currently a Masters Candidate in Urban Studies at Simon Fraser University. Growing up in a small BC interior town, Tim spent much of his youth on a bike exploring and learning about the world. 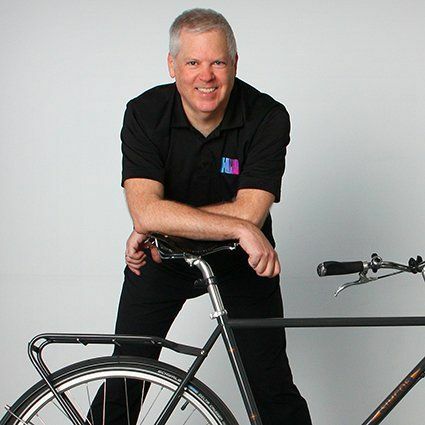 As an adult living in Vancouver Tim rediscovered cycling for practical and environmental reasons, and has since become an enthusiastic cyclist, bike mechanic, and bicycling promoter. Refugee and immigrant settlement have been the focus of Tim's professional career for over two decades prior to his joining HUB in 2013 as Director of Programs. 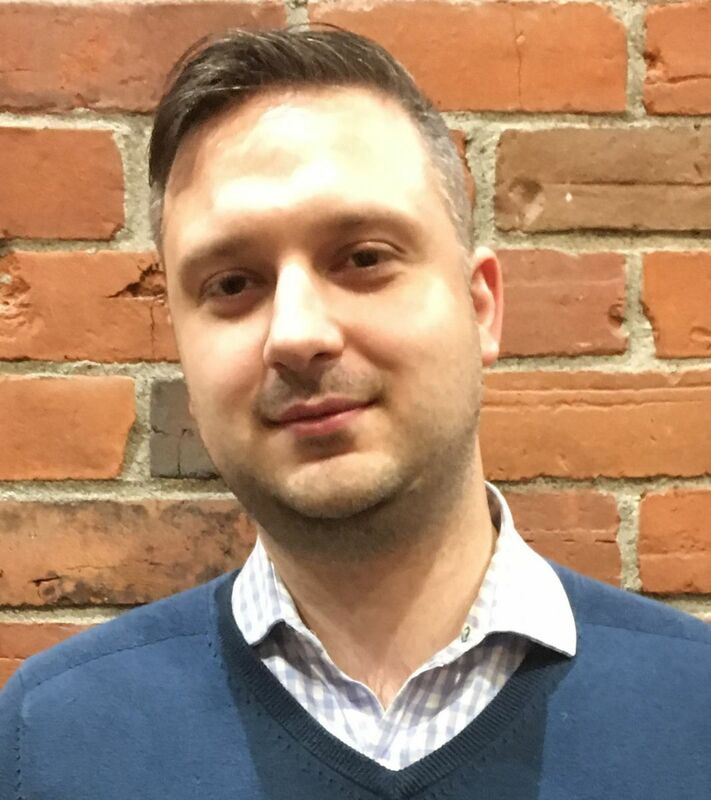 In addition to developing and delivering a range of services for newcomers, Tim has played a central facilitative role between not-for-profit service providers and government funders in the expansion and professionalization of refugee and immigrant services in BC and nationally. Tim is excited to be part of HUB where he can bring his program development expertise to his area of passion - urban cycling. When more people cycle, communities become happier, healthier and more sustainable. 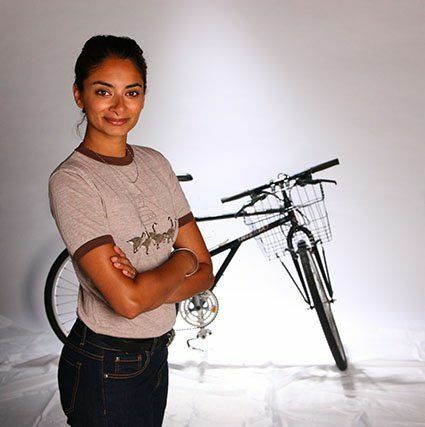 To this end, Navdeep Chhina aspires to help build a network of safe cycling infrastructure for people of all ages and abilities. 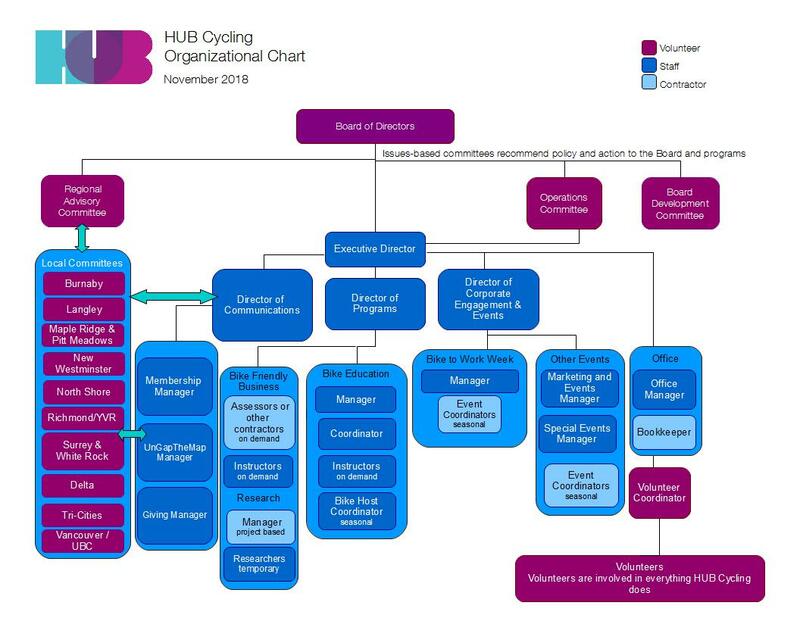 At HUB Cycling, Navdeep overseas media relations, stakeholder relations, volunteer and community relations, social media outreach and brand development. Prior to joining HUB Cycling, Navdeep worked at The Georgia Straight for 14 years, providing strategic marketing and communications leadership. Navdeep earned a diploma in Marketing and Communications from British Columbia Institute of Technology and studied Electronics and Communications Engineering at Dr. Ambedkar Institute of Technology in Bangalore, India. Before immigrating to Canada, Navdeep grew up in Chandigarh, one of the early planned cities designed by the Swiss-French modernist architect Le Corbusier with plenty of green spaces and dedicated cycle paths. Alyshia joined HUB in 2015, and has been involved in supporting a variety of bike education programs and events. 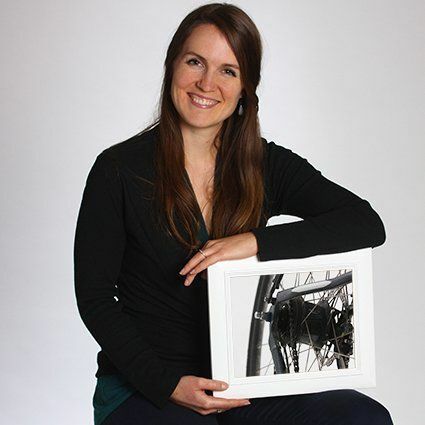 Currently she manages HUB's bike education programs for all ages, and enjoys working with community groups to bring accessible bike programs to newcomers to Canada. Alyshia is passionate about fostering healthy living, social equality, and thriving communities and has worked with non-profit organizations both locally and globally to achieve these goals. She holds a Bachelor of Kinesiology from UBC. Cathy joined HUB cycling in 2016 as Membership Manager. Cathy loves hearing from dedicated HUB supporters and hopes to expand the organizations membership base to further grow the voice and impact of HUB. 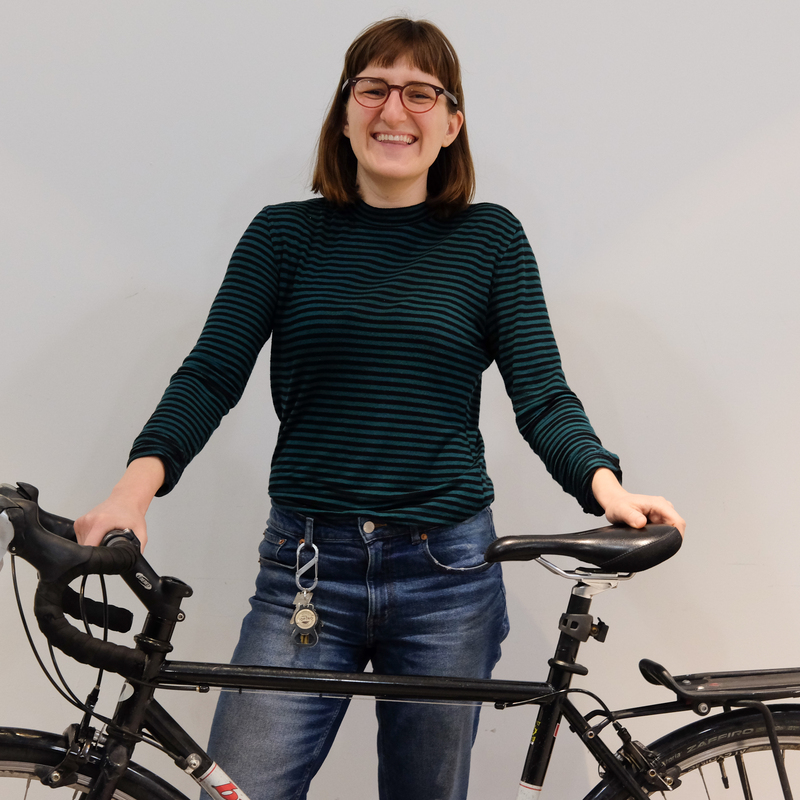 Having previously worked for environmental non-profits, Cathy is passionate about working towards improving the environment through alternate means of transit and helping all people across Metro Vancouver, find the confidence they need to get on their bikes! 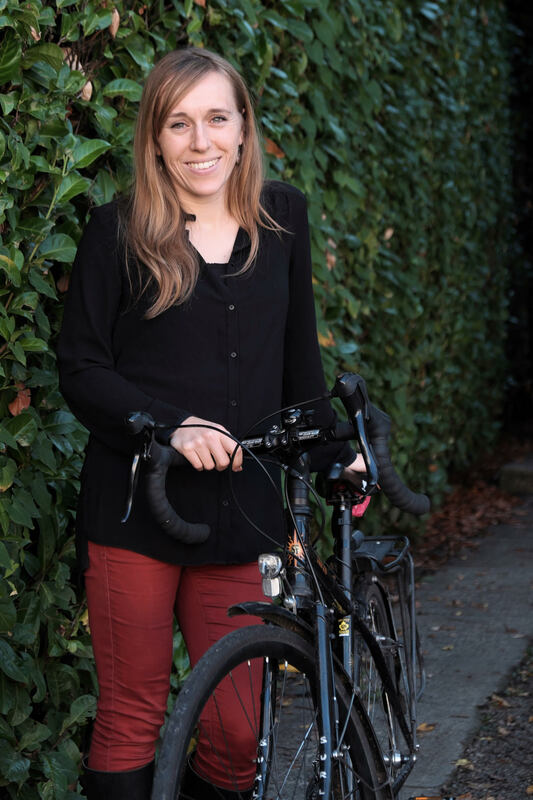 A Los Angeles transplant, Cathy loves living a car free lifestyle in Vancouver and can be found on the weekends zipping around the sea wall on her bright red Biria bike! 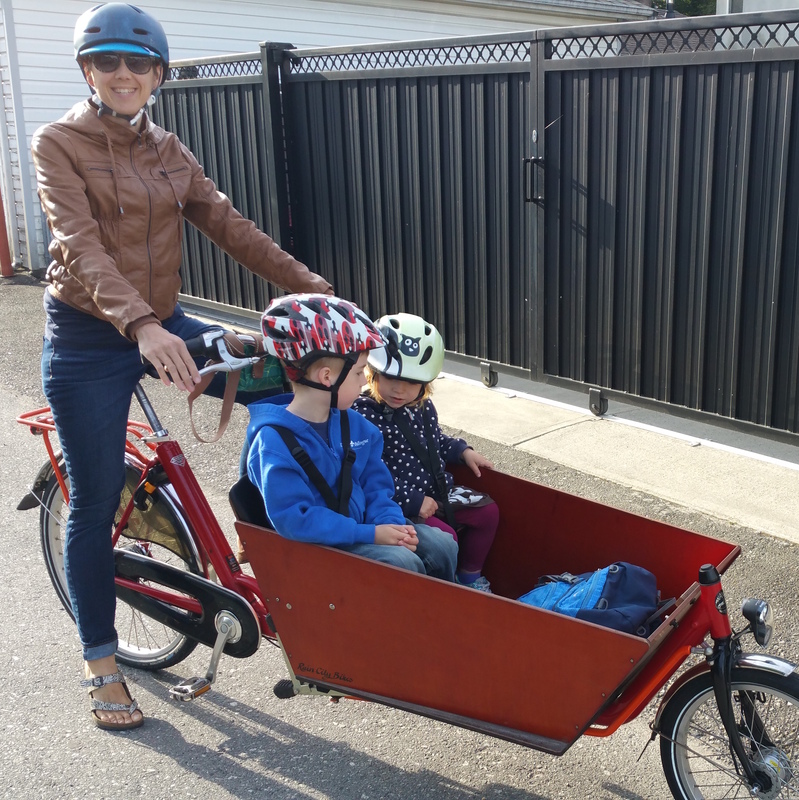 As a Vancouverite born and raised, Tracy loves to ride her bike and has been inspired by Vancouver’s progress in accessibility and the growing number of community members choosing cycling as their mode of transportation. 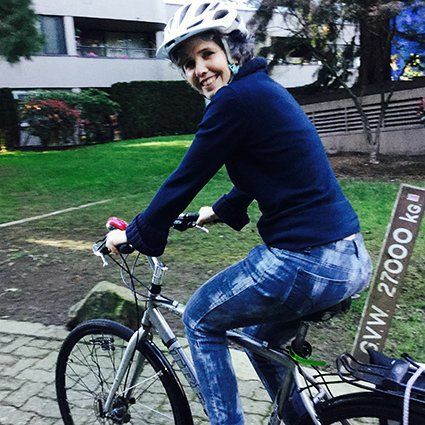 Living and studying in pro-bike cities such as Montreal, Amsterdam, and Lund, Sweden, has contributed to Tracy’s passion and motivation towards strengthening Vancouver’s biking community, helping create an efficient transportation system and promoting sustainable lifestyles. Tracy’s ideal community is one that is healthy, connected and future focused, and she looks forward to joining HUB Cycling's pursuit to make this a realty in Vancouver. If you see Tracy snowboarding on one of our local mountains, practicing yoga, cruising the seawall or enjoying a beverage on a patio, be sure to say hello! Kent grew in Vancouver and has been in love with two wheels and bike commuting since learning to ride a bike. Some of his fondest childhood memories were cycling from his home in East Vancouver to Stanley park. Later in life he took up bicycle touring, travelling by bicycle from Vancouver to Loreto, Mexico and through Europe from Italy to Sweden. Professionally Kent worked around the world as a geologist, throughout the Canadian Arctic, Alaska and Australia, and most recently in Africa. Shifting his focus to environmentalism he joined a team of fundraisers building support for BC’s old-growth forests while serving on a charity board connecting people to nature through stewardship activities. Whether in Africa or Vancouver Kent continued cycling. He joins HUB Cycling as Giving Manager making sure everyone has an opportunity to support bicycle programming and advocacy. Kent sees educating the public, conserving the environment and improving public health as our critical for our future. Now let's get more people cycling. 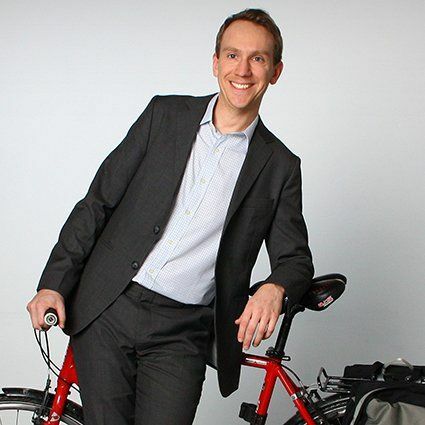 Andrew is an urban planner with prior experience in active transportation, land-use planning and public engagement. Since 2016, he's been working with HUB Cycling's local committees along with municipal, regional and provincial decision makers to #UnGapTheMap across Metro Vancouver. 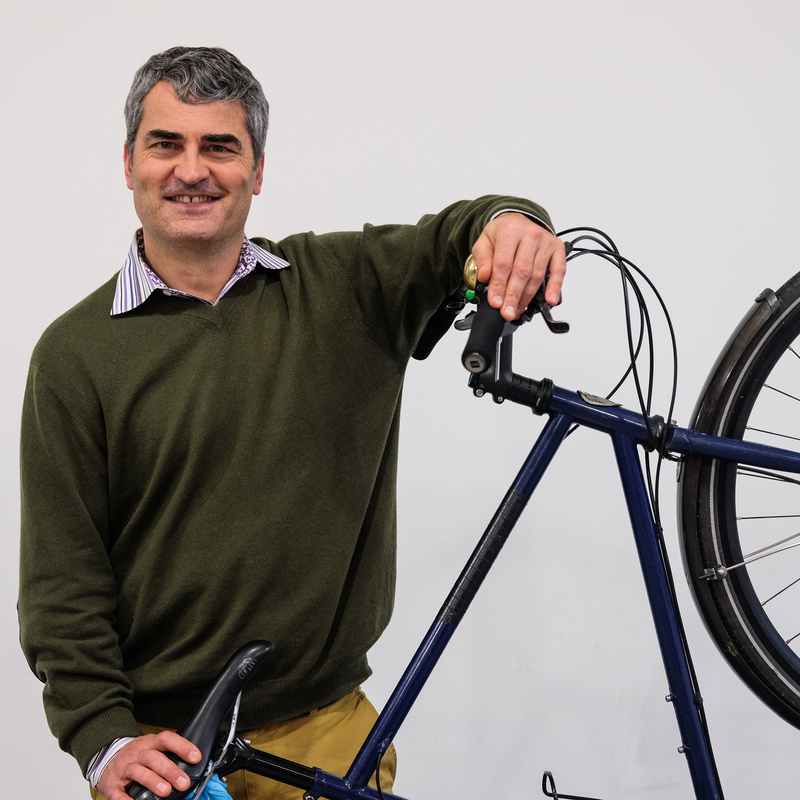 As a multi-modal commuter, Andrew is especially keen on connecting all ages and abilities (AAA) bicycle infrastructure to and from major transit centres. 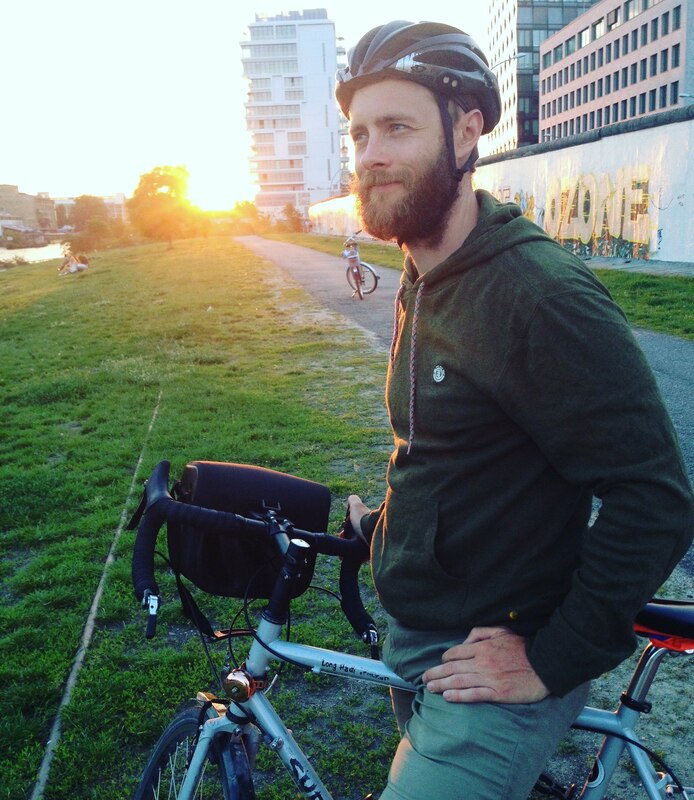 In 2013, Andrew spent a semester studying cycling in Copenhagen and returned to Europe shortly after to complete his master's thesis on the evolution and design of bicycle infrastructure in Berlin and Munster, Germany. Andrew holds degrees from the University of Toronto and the University of Victoria. Jennifer comes to HUB Cycling with a background in Business Management and has over ten years experience working in both the for and non profit sector. Besides maintaining office operations, finances and administration, Jennifer also assists our programs, events and membership services ensuring the office runs like a well oiled bike chain. While living in Amsterdam, Jennifer's love for cycling as a means of transportation and a healthy lifestyle flourished. 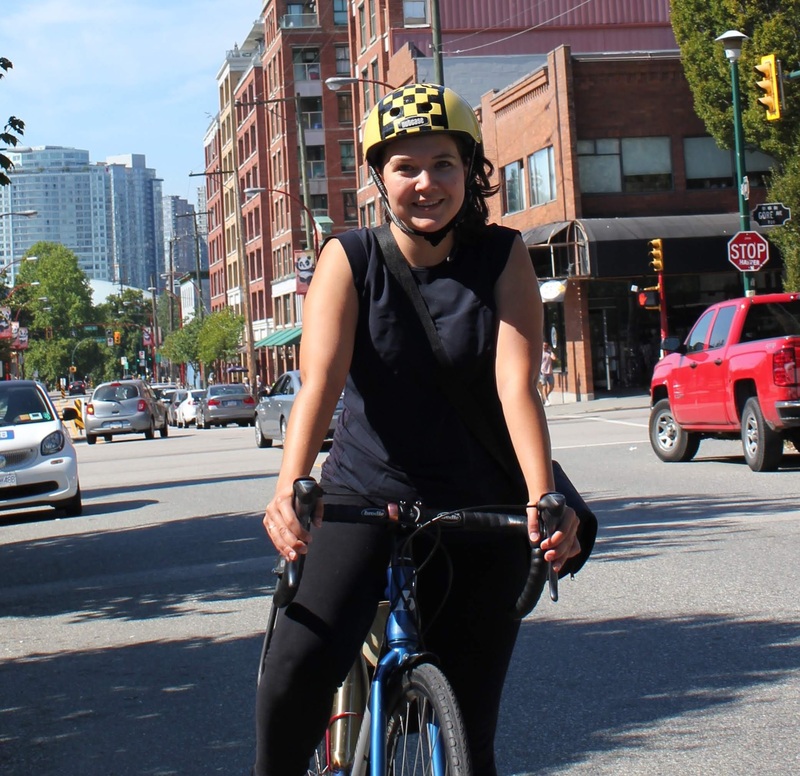 She was inspired and enlightened and looks to continue the ease of cycling in her own Vancouver community. She looks forward to meeting you, sharing her love for cycling and assisting you by providing the information your seeking. When Jennifer is not at the HUB Cycling HQ, you will find her biking around the city enjoying the sunshine on a sunny patio or park and catching up with friends. .
Jel's background in recreation and community development as well as her love of cycling led to her to being on HUB's Bike Education Team as an Instructor, Education Coordinator, and most recently, Bike to School Week Coordinator. Jel is excited about working with School Champions to organize engaging and accessible Bike to School Week celebrations at schools across Metro Vancouver. She is interested in building school capacity to encourage active travel so that all students can experience the social, emotional, environmental, and physical benefits of cycling. When not at work, you can find Jel at the library, the local public pool, or riding! 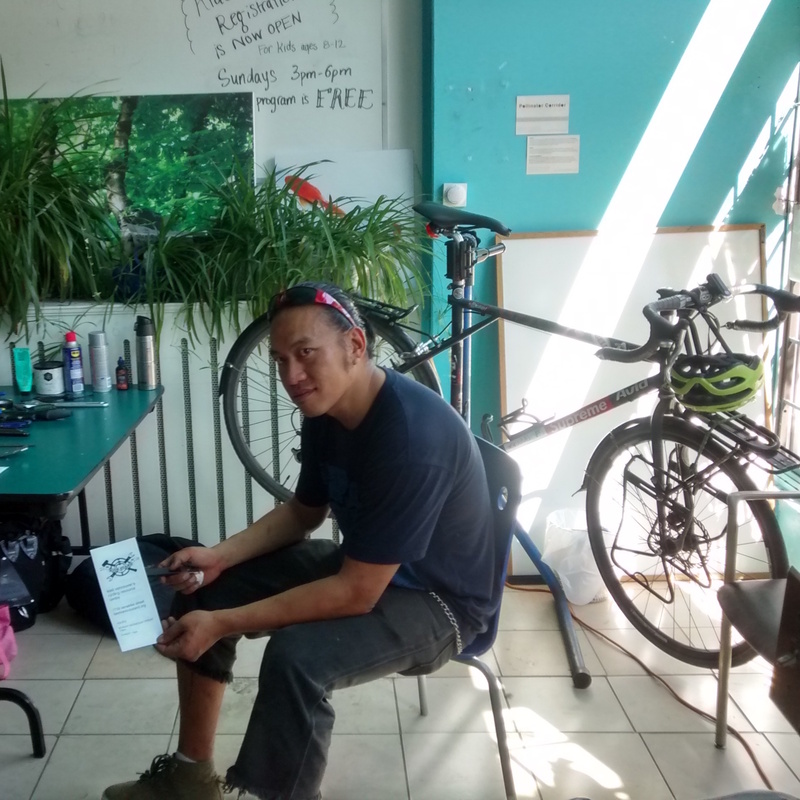 Joining HUB in 2018, Aaron is part of the Bike Education team and will be adding 5 years of educational experience to the coordination of the program. After teaching abroad in both Germany and England, Aaron is returning to Canada inspired by the accessibility of cycling and the confidence of riders in various international cities. It is his dream to allow for all cyclists, young and otherwise, to experience this by way of education and cycling programs. Aaron has spent the better part of the last 5 years exploring on two wheels while living in several different cities. While obtaining his Bachelor of Arts in Montreal, Aaron quickly saw the power of a bike in connecting parts of the city and unlocking a whole new set of paths of exploration. He is hoping to help others have the confidence to do the same. When not at the office or biking around the city, Aaron spends time nurturing the love of all-too-many hobbies, which include but are not limited to: trails and running, camping and photography, and frisbee and cooking. Tim comes to HUB from the private sector, where he worked as a planner delivering Active Transportation projects across Canada. He holds a Masters' of Planning from Dalhousie University where he worked on projects incorporating complete streets, neighbourhood and regional planning, and public engagement. He also has completed a Bachelors’ degree in Geography, and a post graduate certificate in Urban Design, both from Simon Fraser University. 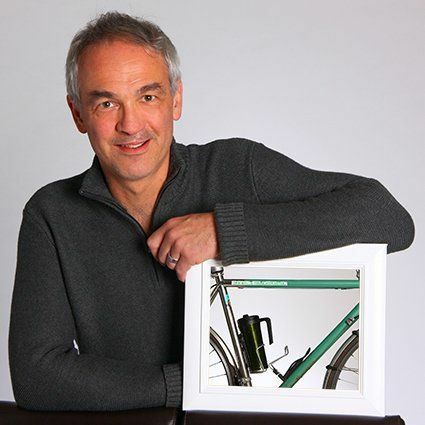 Tim’s love for cycling began in Surrey BC, where he and friends would often make long trips all around Metro Vancouver. Later in life, he rediscovered this passion for two-wheel commuting using his $15 bike to travel all around Halifax and Dartmouth NS. Rowena comes from a background of working in tech and digital democracy and has worked with government and transport departments around the world to help them consult with the public online. She is especially passionate about widening participation in urban planning and sustainable transport. Rowena’s ideal community is one that is open to trying different modes of transport, is connected and communicative. Rowena is excited about reducing the barriers to cycling and encouraging the public to cycle year-round. 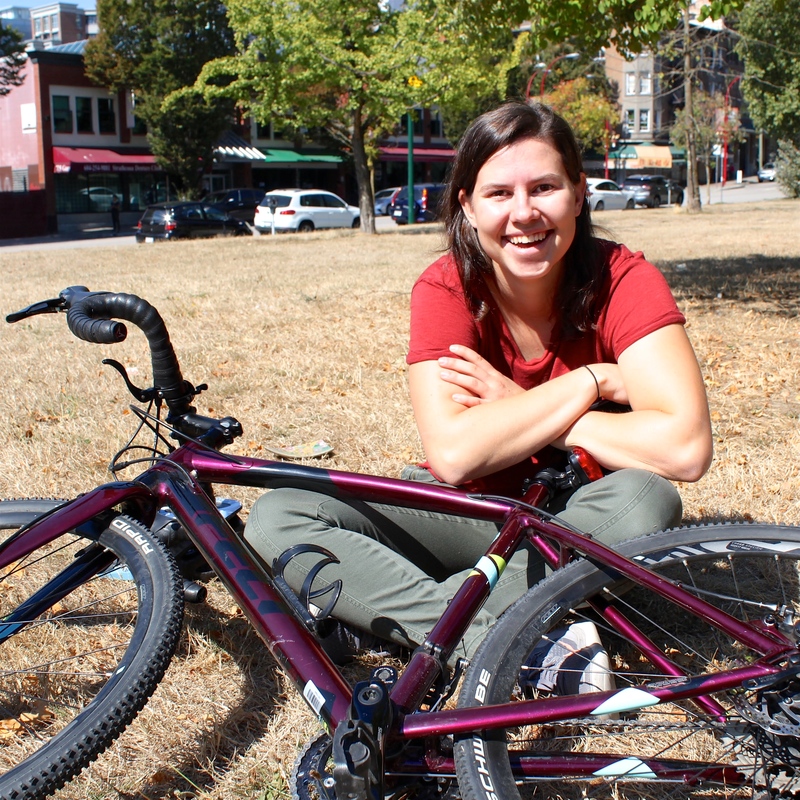 Originally hailing from South West England, Rowena moved to Vancouver with just a backpack and her bike. When she’s not cycling around Vancouver, Rowena loves practicing yoga, learning to ski on one of the mountains or braving the cool seas for a surf. Rowena is also a keen traveller and always aims to pick up a bike wherever she goes. Some of her fondest memories include cycling in Europe and Central America. Gavin is a professional planner and a nationally recognized leader in transportation policy, planning and facility design. He brings two decades of experience facilitating trans-disciplinary teams in developing ambitious, award winning plans and projects. 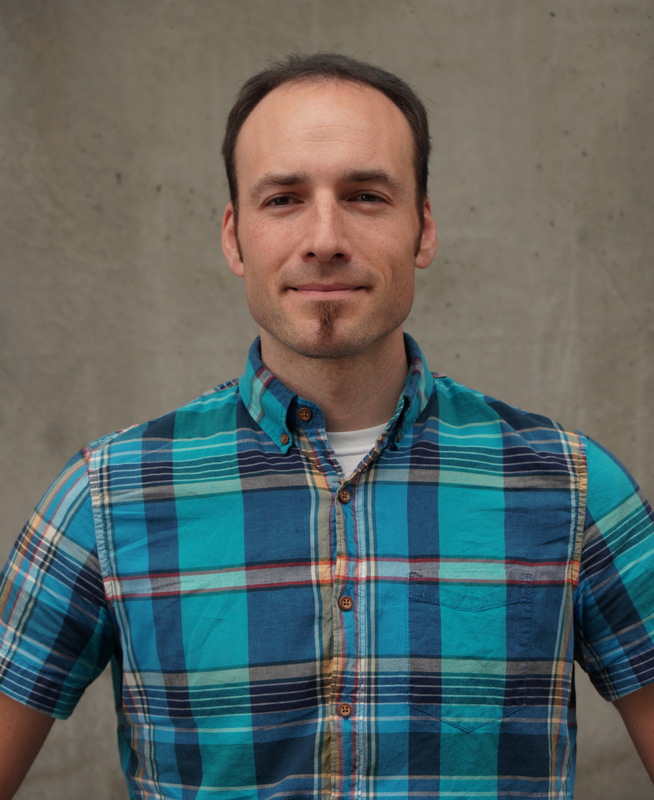 As a certified trainer for the National Association of City Transportation Officials (NACTO’s) Urban Street and Bikeway Design Guides, Gavin presents regularly at conferences and seminars throughout Canada. Evan grew up biking, but quickly forgot about it when he came of age in oil country and bought a truck. In 2011, Evan embarked on a car-lite experience. This was inspired by a desire to reduce his resource consumption, and he finally gave up his Mustang the next year. After moving to Vancouver, Evan acquired a west coast bike and has been steadily moving toward becoming a year round, utilitarian cyclists (not there yet!). Evan believes that cycling can be a ‘silver bullet’ on a number of issues - congestion, pollution, health outcomes - while at the same time providing a speedy, fun way to move around. Evan has previous experience working within the nonprofit world. 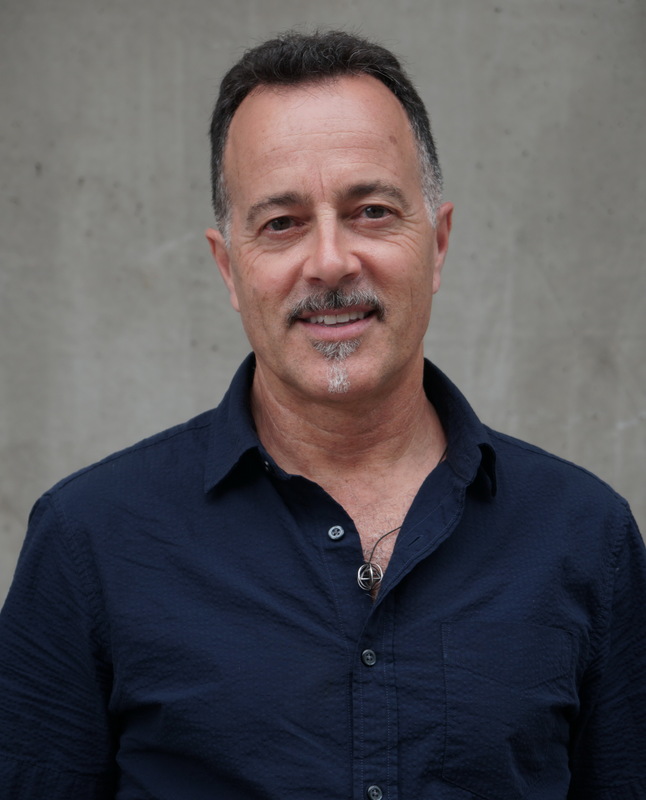 He holds a Masters in Planning from UBC’s School of Community and Regional Planning, in addition to his undergraduate degree in Environmental Studies. 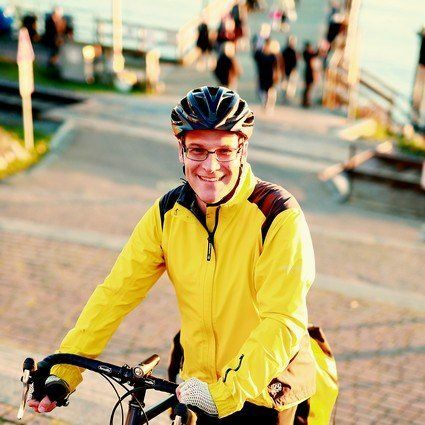 He has recently worked for Vancouver Bike Share (Mobi), Fraser Health doing employee consultation work, HUB Cycling in several different roles, and a variety of projects related to cycling, transportation and planning. Evan is currently planning a trip along the West Coast Trail, and looking forward to his next multi-day bike adventure. 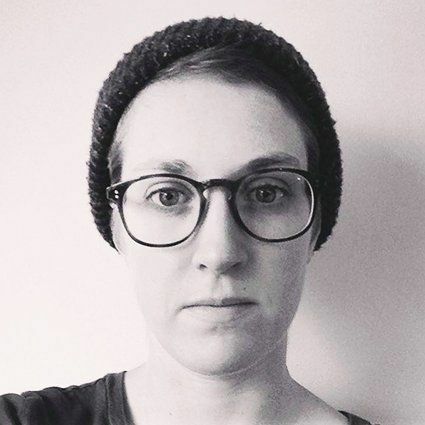 Kendra joined HUB in 2019 as a bike education coordinator, supporting programs that provide folks of all ages and experience-levels with the skills and practice to take Metro Vancouver’s streets by…bicycle. Kendra got hooked on the bicycle-as-transportation while cruising through Amsterdam’s streets on a semester abroad. 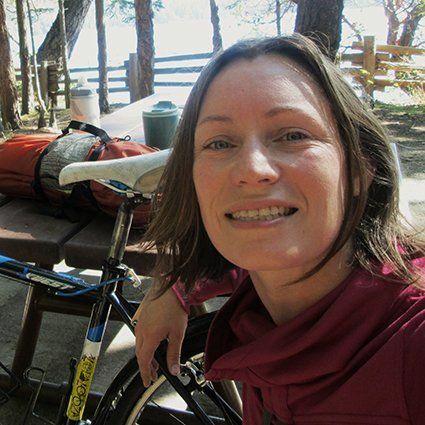 Since being initiated in the Dutch way of transportation, Kendra has been a true enthusiast, commuting locally in Squamish and Vancouver, and also bike touring from Seattle to San Fransisco and, on a separate trip, the entire length of Mexico. She thinks it is wonderful that, on a bicycle, something as necessary and everyday as getting from one place to another becomes fun. Kendra earned a Bachelor’s of Arts in Social & Political Thought from Quest University Canada. She has held stints as a journalist, writing tutor and outdoor educator. When she isn’t riding her bicycle or working, Kendra likes to ski, rock climb, or read the New Yorker. I want to share my love of riding bikes with everyone! There was a time when I commuted by car to my corporate place of work… Often sitting in rush hour traffic, going through the complications of the day to come, surfacing memories of the fun and simplicity of bike riding kept my sanity! With a passion for active transportation and urban sustainability initiatives, Carly thrives in extreme weather. 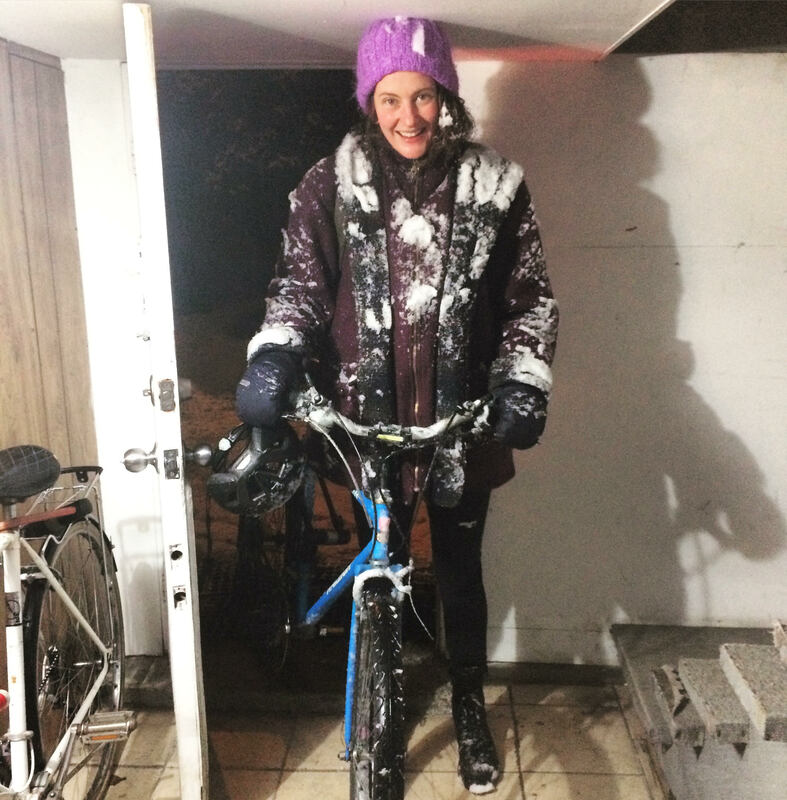 She strives to inspire others to embrace biking year round. From her first time riding a bike in the snow in Sweden, to riding fat bikes in the Rockies, she finds the fun in cycling everywhere. I grew up cycling in '80s Beijing when there were more bikes than cars, then took a break from riding before rediscovering my love for bikes on the streets of Vancouver. Cycling has since become one of my favourite ways for exploring cities, islands, and nooks and crannies of the world. It's been a treat as a bike ed instructor to facilitate and witness the remarkable moments of joy, courage, connection, freedom and self­reliance people find on their bikes. Saturday mornings were the best time when I was growing up. I would jump on my banana seat bike, tassels streaming from the handlebars, and race around. The freedom of taking off on my own, flying down the hills, meeting up with friends, it was a pretty exciting time for an 8 year old! Biking to me is freedom. Teaching bike education feels like I am providing someone with a new tool for freedom and independence, to safely get to where they need to go or just find the fun flying down that hill knowing they can stop at the bottom! Riding through the forests of Britany my wife and I kept hearing a French horn playing in the distance. Gradually it grew louder until finally we biked by a man playing his horn while his family looked on. And that’s what I love about cycling. It’s seeing things you may never see otherwise. Since learning to ride I have loved travelling and seeing the world immersed in it. From the Gulf Islands to New Zealand’s South Island it’s the roads lesser travelled that my bike points me down. Whether its commuting, biking to shops, or taking on another week-long journey riding a bike inspires me with new experiences. And by helping people feel more comfortable riding their bicycles I hope they can also see the world in a different way. I discovered the freedom & empowerment of cycling young, as a toddler. Early one morning, I left the house before my parents were awake, pedalling off on my red tricycle, in my pyjamas. It only got better when I learned to ride a two-wheeler! These days, what makes me feel strong is how much I can carry in my Dutch cargobike: furniture, bricks, lumber, but most often my two children and large loads of groceries. Besides teaching cycling skills to children and adults in various HUB Cycling programs, I'm on the Mount Pleasant Family Centre Society's Board of Directors, and the City of Vancouver's Active Transportation Policy Council. I organize rides, workshops and events for Vancouver Family Biking, and I blog at Spokesmama.com. When I teach, I like to tell stories, because for many, they are overcoming fear to learn to ride. Horses were my thing as a child, and since having one in our backyard was not possible, I rode my bike all over my small town, jumping my fine steed, and travelling far and wide. Its name was Bluey. More recently, when I asked a classroom what they were going to bring to school for bike day (expecting them to yell out "bikes!") one young fellow said "Our Imagination!". Cycling will open doors you may not expect! I love riding my bikes!!! I love supporting adults and children as they learn how to ride a bicycle for the first time, or perhaps get back on the saddle after many years away. I love supporting people to ride with more confidence, learn how to understand, maintain and repair their bikes. Love love love :) what more can I say...it's been a life­long love of mine. I am so grateful to have the opportunity to inspire and connect with others through bikes and riding. My favourite memory of riding my bike would be with my siblings around the courtyard we used to live in. We would try to ride around the whole thing balancing on the curb, which was tricky, also riding down the hill around the corner of the house, over and over. I love teaching the youth because I think cycling should be an activity that is accessible and enjoyable for everyone, and this is something we are encouraging. It's great to see how enthusiastic, excited, and eager the youth are about participating! From the beginning of Mathieu's search for freedom, biking has proven to be the answer. One of his favourite epiphanies was the realization that hopping on a bike makes everything seem to disappear, leaving only joy and playfulness. These moments always carry Mathieu past his destination. For him, teaching cycling and bike mechanics has become a way to empower and bring joy to kids and adults. In the rain or in the snow, in traffic or with a flat, cyclists should always feel comfortable and free. I've been biking ever since my dad taught me, pushing me on my purple mustang, back in the 70s. When I went to high school I was afraid my bike would get stolen so I walked to school. This lasted through three years of art school, busing from Richmond to Granville Island. One day I decided to ride to school, and I surprised myself by not only surviving the trip, but also by trimming 15 minutes off my bus commute. The trip was free; I got exercise; and I arrived sharper. I've been hooked ever since. I've since ridden the streets of Paris; Harbin; Montreal (through winter). I've taken up randonneuring, centuries, and fondos. I commute by bike, shop by bike and explore by bike. Now I get to teach on a bike! I enjoy the wind on my face as I’m riding through the city with friends, being on my bike is my happy place. For 10 years bicycles have been my daily commuter both here in Vancouver, as well as back home in Aotearoa (New Zealand), where bike lanes are only just starting to take off. I love the accessibility of cycling and the locations it allows you to reach. Cycling gives me the independence to come and go and move around the city without worrying about traffic or timetables. In most cases, it’s faster to ride bike than to take transport. You learn to navigate a place differently, and explore parts you never would in a vehicle. I like to treat each bike ride as an adventure, to see what I can find. I now get to share my love of bicycles and the way they allow you to move with others, and thats really exciting! Growing up near the mountains, woods, and ocean here in Vancouver gave Alexandra more opportunity than she could have imagined. What started as passion and playtime developed over the years, and it is what keeps her learning, active, and happy. Whether biking along the trails in nature or within a city, there is not a finer way to experience the quirks and quarks of life. She is so happy that she can share her love of biking with the greater community and join in the action to create a safer space for all. We are so lucky to live on the beautiful door to British Columbia's- let's make it better. I have lived in Vancouver since 2004. While the bike network has expanded, so has my own use of biking as an everyday means of transportation. There is a sense of freedom, empowerment, and joy in biking that is both indescribable and impossible for even beginner riders to miss. I am excited about the increasing role of active transportation in Metro Vancouver. There are so many benefits to health and happiness to be realized in the coming years. Biking is an important part of this. I am lucky to be able to help others develop the skills they need to feel safe and be confident while biking. Growing up in my quiet Toronto neighbourhood, family bike rides were a means to get outside on a particularly sunny day and perhaps grab a scoop at the local ice-cream shop. These days the same is true, but a recent bike purchase rekindled a drive to cycle farther and faster and I seem to have ended up in Vancouver! I get invigorated winding through networks of streets and trails, breathing in fresh air and bringing the lines on a map to life. With a background in teaching a range of outdoor activities from disc golf to canoeing, I’m delighted at the opportunity to swap a lifejacket for a helmet and join HUB in inspiring to get ‘more people cycling more often’! Growing up in the countryside of Germany riding bikes was what we always did for fun and it was the best way to get around, go see friends, meet at the swimming pool… When I moved to other cities – during University or for work – my bike was again my choice of getting everywhere. I could discover the city my own way and take the long way home. Cycling has always made me feel independent and the feeling of floating silently over the roads is what makes riding so unique for me. 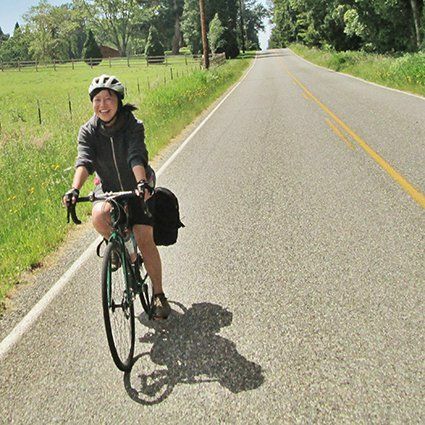 Born in Vancouver, but having grown up on both sides of the country and both sides of the border, Leah has always relied on her trusty bicycle. 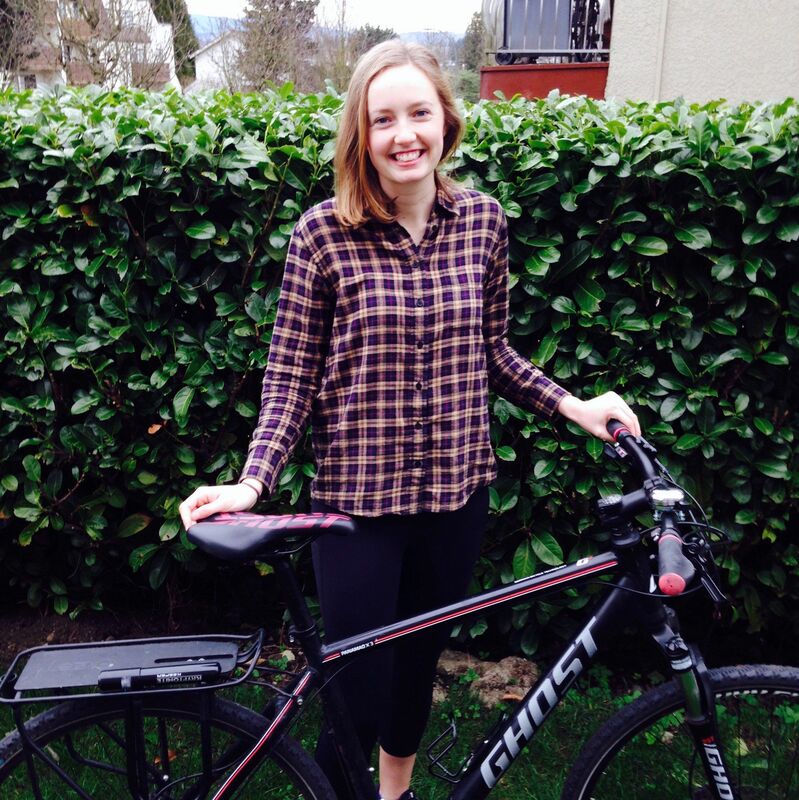 For Leah, biking has become more than just a way to get to school or work. It’s something to enjoy, to share with friends, and to constantly be able to explore new parts of the city. 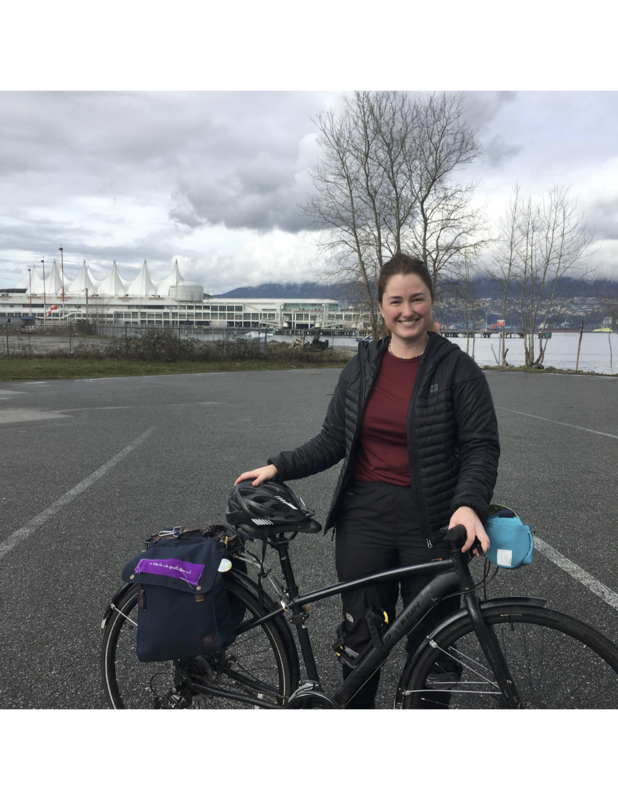 Leah is excited to be able to share her experience with others and help grow Vancouver’s amazing cycling culture to include all ages and backgrounds. When not out and about on her bicycle, Leah likes to read a good book with a cup of coffee or dabble with arts and crafts. I recently moved to Canada from busy London and have found exploring BC by bike fantastic. So far I’ve enjoyed two-wheeled adventures on the old railway tracks of Vancouver Island, the new cycling infrastructure of Vancouver and the mountains of Squamish. I always strive to learn new routes and develop my bike mechanic skills so that I can support other people (and bikes) in the cycling community and share the joys of cycling!